Tabula Rasa: Which book genre do you stay away from? Which book genre do you stay away from? 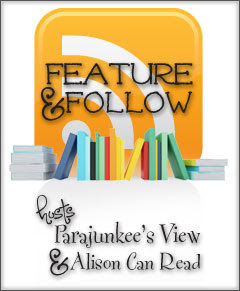 Follow Friday is a weekly bookish meme hosted at Parajunkee's View and Alison Can Read. Soppy romance - okay, I know "soppy" doesn't count as a genre. The thing is, though, it's not like I don't like romances in books, not just as the main theme, specially when they are just depressing, sob stories. I wouldn't for example particularly enjoy a book by Nicholas Sparks or Cecelia Ahern! What I have avoided at all costs till now is Paranormal romance, and after reading Jane Eyre, romances set in the Victorian era. Of course, after reading and loving books that I never imagined I would like, I am open to any suggestions that might change my opinion. What genre do you tend to avoid? I also avoid soppy romance but Jane Ery, Wuthering heights, pride and prejudice had that element of romance which I liked. Ohhh, pure romance makes me run for cover every time. Love your blog, Priya. Great name, too. Love the John Locke reference. I like books with a romance subplot but can't stand books completely based on romance. I dislike Nicholas Sparks too. and after reading Jane Eyre, romances set in the Victorian era. Jane Eyre isn't everyone's cup of tea, but not all Victorian romances are like that. There are also differences between how the Bronte sisters themselves wrote, what they focused on and how they treat 'romance' (including taking a decidedly dark or unromantic view of it). I've been recommended Anne Bronte, especially her Tenant of Wildfell Hall. I tend to avoid things with zombies in it, because I think they've become a silly fad (though I don't know if "zombie fiction" is a genre). I saw Pride and Prejudice and Zombies at the bookstore and thought to myself 'how on earth did this get published?' after flipping through it. They mutilated the fine Jane Austen. I think there is a whole variety of books like Pride and Prejudice and Zombies; Jane Slayre, for instance. I have only read a couple of zombie-books, and it's not my favourite genre. I didn't mean to generalize "Victorian romances" as one category of books like Jane Eyre; I haven't read any other Victorian romance to know the difference. I will definitely take up your recommendation of Anne Bronte.. Thanks for stopping by! Maybe at some point we can compare notes on Anne Bronte (all I've written here is what I've heard of her - I haven't read her yet, but she's towards the top of my to-read list). If you do try out her novels, I'd be interested in hearing your thoughts, as you write good reviews on books here.